View More In Ecstasy Tests. 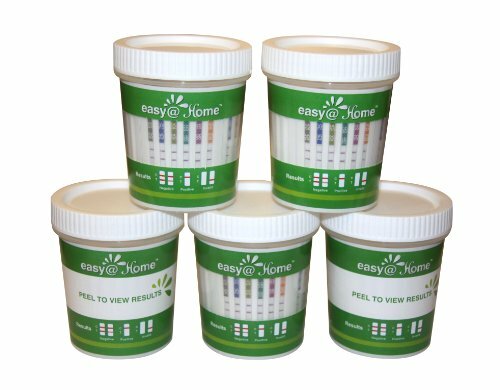 You will receive:25 Pack Individually Wrapped Easy@home 14 panel instant Drug Test Cup Plus 3 adulterations and temperature strip. The Drug Test Cup tests instantly for 14 Different Drugs:Marijuana (THC),Cocaine (COC),Opiate (OPI 2000),Methamphetamine (MET),Oxycodone (OXY),Amphetamine (AMP),Barbiturates (BAR),Benzodiazepines (BZO),Methadone (MTD), Methylenedioxymethamphetamine (MDMA),Phencyclidine (PCP),Tricyclic Antidepressants (TCA) #ECDOA-1144A3. If you have any questions about this product by Easy@Home, contact us by completing and submitting the form below. If you are looking for a specif part number, please include it with your message.